Whether it be for a business or blogger, launching a website is a commendable accomplishment. But, there is a big difference between building a website and building website traffic. Now that your website is ready for the viewing public, the website traffic marathon begins. The success of a website comes down to two things: planning and persistence. We’re happy to help with the planning part; by reading our traffic-building tips you can piece together a strategy for your site that will improve search engine rankings and page views. But, the persistence part is all you. Before learning about how to build traffic on your website, reading our “Introduction to SEO” blog will provide valuable context to the strategies listed below. Having a blog on your website achieves several goals: it keeps your website fresh, it generates traffic and it builds rapport with your viewers. Newspapers, magazines, radio, etc. have rigid rules for content, but blogs offer a ton of freedom. A blog can be buttoned up, personal, funny, promotional or any mixture of tone you can imagine. Sure, there’s wiggle room, but there are rules to follow. Nobody can stop you from airing dirty laundry in your blog, but you probably don’t want that kind of attention from millions of strangers. There is one golden rule: corral your content. If your website is meant to sell used books, for example, don’t blog about cats unless you can connect cats to the reading experience. Instead, create a separate cat-lover’s blog (and strongly consider using a pen name) and go bananas. At the bare minimum a website should have at least one new post per week. 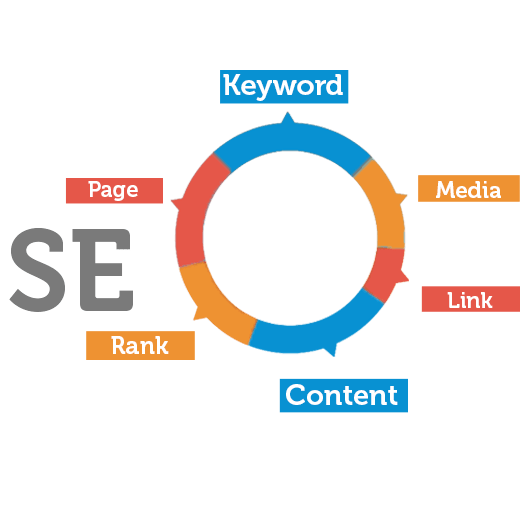 For more on this, please refer to the aforementioned “Introduction to SEO” blog. Posts don’t need to be lengthy, and popular topics include tips, tutorials and “top 10” blogs. We encourage you to explore with content. The more authentic the blog, the better. Nothing looks worse than a web page that hasn’t been updated in months or years. The content gets stale; especially if you have dates on it. Doing quick revisions of pages will help impress search engines and keep viewers from thinking less of your site. If you don’t have a lot of updates to make, make sure to remove dates from your pages and posts. Children like books with pictures, and let’s face it, adults do too. Enhancing content with images or videos doesn’t just offer context for readers, it gives your website an opportunity to look even more relevant to search engines. Posting a picture on its own is okay, but typically it’s best to write at least a short paragraph describing the image. If you run a business, displaying pictures of products is probably the first thing on your agenda. If it isn’t, get on it. Beyond products, posting staff and/or office pictures can help your brand. Mainly, it humanizes your company, which can help build a bond with target consumers. For personal websites and blogs, using multimedia has many similar effects as a business; you are after all, selling yourself. The added benefit is that your mind-blowing photos and videos show that you are current and relevant. The world spins pretty fast these days, and nobody wants to read yesterday’s news. This is one of the more technical activities of the list. It’s also one of the most important. Just about every content management system (CMS) allows users to fill in meta data and other descriptive information to help search engines and web surfers to find the right content. Using meta descriptions, meta tags and filling out other SEO fields like giving captions and meta data for images lays the foundation for a healthy website. Meta tags are potent phrases that describe content. These phrases should mimic what someone might type into a search engine to find your content. A meta description would be a short summary of the content. Again, using phrases people would type into search engines is highly beneficial. A little experiment you could try is to implement thorough meta data in one post, but leave another post free of the extra information. There’s a strong chance that one post will fare better, and we bet you a nickel we can guess which one that is. Meta data works. Trust it. This goes hand-in-hand with posting blogs and other content to your website. When you have something to share on your website, share it on other websites. Posting content to forums, community calendars, websites with similar content and social media channels will greatly enhance the exposure of your content. The best possible form of link building is when an unaffiliated website links to your content. Search engines draw to this like children do sugar. You can’t really control who links to your website, but if you cast original, useful content out into the web, you’ll hook a few minnows and maybe even some bass if you’re lucky. Google encourages website owners to submit their sites to Google directory. It may take an eternity for Google to evaluate and (hopefully) accept your website into their directory, but it is well worth it. Being that the process is as simple as submitting your website URL to Google and filling in some basic information, there is virtually no risk and a high reward. While you’re at it, you can submit your site to Bing and it counts as a submission for the Yahoo! search directory as well. Two birds, one stone. Nothing beats productivity. We hope you like sprinkles on your website, because we saved this for last. This tip applies to just about every strategy we listed. Put keywords in everything. This includes meta tags and descriptions, your actual blogs and web pages, titles for your web pages and blogs, and even the URLs to your website should have keywords in them. For more on keywords, see our “Introduction to SEO” blog, as it explains the importance of keywords and how to create a sound list of keywords pertinent to your website. We love sprinkles, but when it comes to keywords, don’t overdo it. Search engines are getting really good at identifying blatant use of keywords, and viewers will likely run from your website faster than a rotten tooth from the dentist. Have more questions? SEO Classes are coming up soon in Fort Collins, Denver, and online.